Pamela was so nice. She listened while I expressed all of my concerns. All the staff were very nice and professional.I would definitely recommend the doctor to anyone looking for a primary care doctor..you will find it all..well almost all at this office. They are going to refer me to an OB for hormone pellets but they will do my pap. Pamela was so nice. She listened while I expressed all of my concerns. All the staff were very nice and professional. I would definitely recommend the doctor to anyone looking fora primary care doctor..you will find it all..well almost all at this office. They are going to refer me to an OB for hormone pellets but they will do my pap. Front desk was very friendly, they helped me with questions about the NP paper work I didn't understand. Her nurse wasvery nice & pleasant. Mrs. Pam was amazing she gave me everything I asked for. Front desk was very friendly, they helped me with questions about the NP paper work I didn't understand. Her nurse was very nice & pleasant. Mrs. Pam was amazing she gaveme everything I asked for. Ms. Pamela Lolley is a dedicated nurse practitioner who is uncompromising in her dedication to the well-being of her patients. 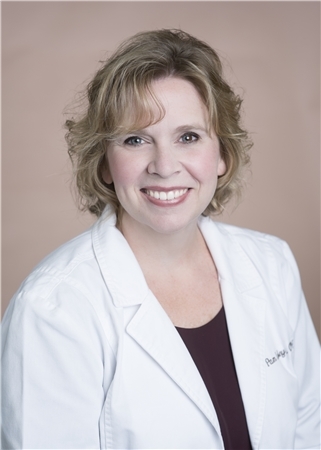 She practices at Brookwood Primary Care - Grand River and serves the community of Leeds, AL. She strongly believes in delivering high-quality patient care that focuses on comfort and seamless recovery. Ms. Lolley earned her master’s degree in nursing from Samford University. She holds an associate's degree from Jefferson State Community College, Birmingham and a bachelor’s degree from Troy University. She is affiliated with Brookwood Baptist Medical Center in AL. Focused and caring, Ms. Lolley is passionate about nursing and encourages her patients to discuss their concerns candidly. Everyone from front desk to nursing staff including Mrs. Pam was kind. I'll be back. I thought I broke my ankle, they were able to get me in, xray me and reassure me it wasn't broken. I was so thankful.